The Live + Same Day daytime ratings are in for the week of May 16-May 20, 2016. All soaps were up for the week in total viewers, except Days of our Lives. DAYS was also down in all of the major demos. 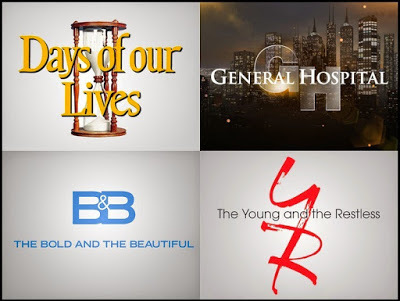 Meanwhile, The Young and the Restless and The Bold and the Beautiful were both up for the week in the women 18-49 demo.